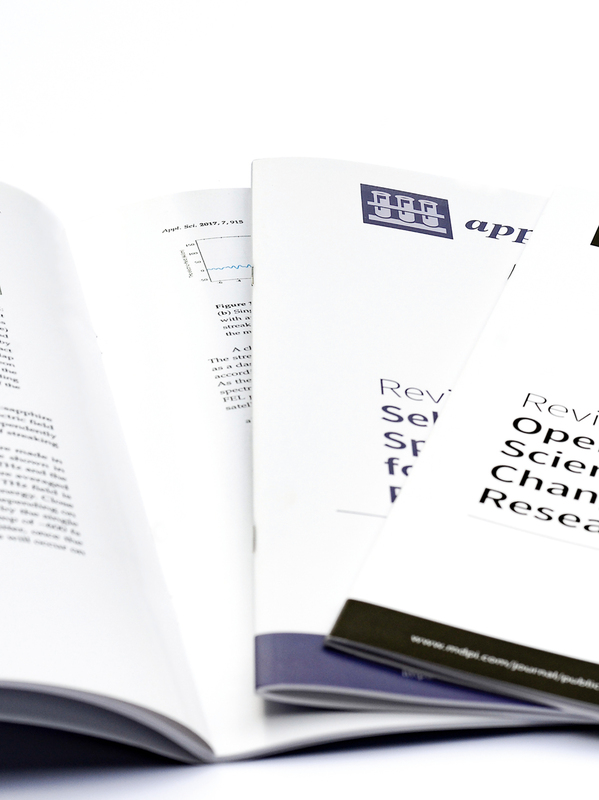 MDPI provides reprints in high quality with convenient shipping to destinations worldwide. The articles are printed in on premium paper with high-resolution figures. Our covers are customized to your article and designed to be complimentary to the journal. These reprints are ideal additions to your portfolio. Copy details: 135g/m2 paper, 2x stitched, full colour and glossy finish, orderable in quantities from 10 to 1000. If you have any questions, or special requests, please write to our support team; we are happy to provide you with the information you need. If you need more than 400 copies, please contact us by e-mail (publisher@mdpi.com) and we will prepare an individual offer for you.